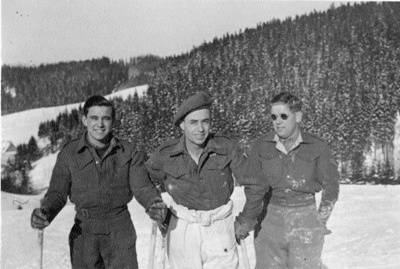 A photograph of three men skiing, including Kenny MacDonald (Kenny 'Ain Dungain) of Culduie. MacDonald did his National Service, and was an army chef/cook. This photograph may have been taken in Germany. The photograph may have been taken in Germany.